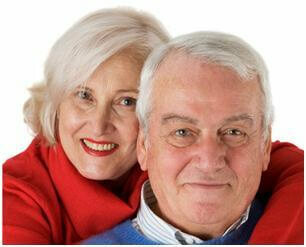 Glaucoma and cataract are two age related eye disorders. Vision gets decreased due to different type of pathology. In glaucoma there is damage to the optic nerve which may become worse with time. There is a pressure build up inside the eye. It is not detected on time and mostly run in families. Optic nerve helps to send message to the brain and when it gets damage due to high pressure created by the increased fluid inside the eye then it causes permanent loss of vision. Cataract is the disease that affects the lens of the eye. There is dim vision due to cloudiness of the lens. Degenerative changes occur in the lens of the eye that causes dimness of the vision. There are different causes that are responsible for glaucoma and cataract. It is very important to take proper treatment on time to prevent damage to the eyes. One should regularly visit an eye specialist after middle age for detection of any eye problem within time. There is fluid circulating within the eye. This is called as aqueous humor. It flows out of the eye through a channel and when there is blockage in the passage of the fluid it gets accumulated inside the eye that can lead to glaucoma. There are several other health conditions that are responsible for cataract and glaucoma. Men and women are equally affected by these eye problems. Cataract is age related disorder of the eye and it builds up slowly. There is slow dimness or loss of vision due to the formation of a dark film on the lens. There is degeneration of the eye cells that causes loss of vision. Diabetes, high blood pressure is responsible or contributing factors for the development of these two eye problems in human beings. Injury or any surgery to the eye may also be responsible for development of high pressure inside the eye. Inflammatory conditions of the eye can also cause glaucoma or high pressure inside the eyes due to accumulation of fluid. Genetic factors also play a role in the development of glaucoma. In most cases it is hereditary and transmitted from parents to their children but it is detected later in life. Divya Amalaki Rasayana: It is an important cataracts herbal treatment that provides best nutrition to the eye lens. 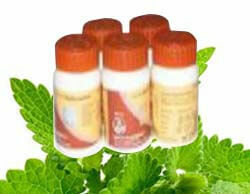 It prevents development of cataract by nourishing the muscles of the eyes. It prevents degenerative changes by providing essential nutrients to the cells of the eyes. This is an important herbal treatment which helps to improve vision without producing any side effects. Divya Saptamrit Lauh: It is a wonderful cataracts herbal treatment and also helps to prevent build up of high pressure inside the eye. It increases the strength of the optic nerve for optimum functioning. It helps to clearly see the distant objects when taken naturally. One may regularly take this herbal remedy to prevent diseases of the eye. Divya Mukta Shukti Bhasm: this is one of the best glaucoma natural remedies that prevents normal flow of the fluid and prevents blockage inside the eyes. This herbal remedy is useful when taken regularly. It gives nutrition to the eyes and prevents degeneration of the cells. Prepare a mixture by adding one tea spoon of lemon juice and rose water. You may put one drop in each eye everyday to prevent dimness of vision. Vitamin A is most essential for our eyes. One should eat foods that are rich in vitamin A. Foods such as apples, carrots, spinach are good sources of vitamin A that provides nutrition to the eyes and prevents loss of vision. Carrots are rich in a substance called as carotene which helps to maintain good eyesight. One should eat carrots or drink carrot juice to remain healthy and for good vision. Almonds are also rich in phytonutrients that provides best nutrition to the eyes. You can soak some almonds overnight and eat with a warm glass of milk in the morning. One should take a well balanced and nutritious diet to prevent eye diseases and to remain healthy. Good diet also helps to boost up immunity. Children should not be allowed to study in dim light and watch television from a shorter distance. They should not play games on mobile phone or computer regularly. If your child complains of headache while studying in the school or face difficulty in seeing the blackboard in the class then you should immediately take your child to an eye specialist for check-up.